HJ03 Design Context: Bottlecaps galore! I stumbled upon this bottle cap collection on Flickr and it really made me realise that when doing bottle design, you really have to consider the cap of the bottle as well. It could be the finishing touch that makes it that little bit more...wow. or something. 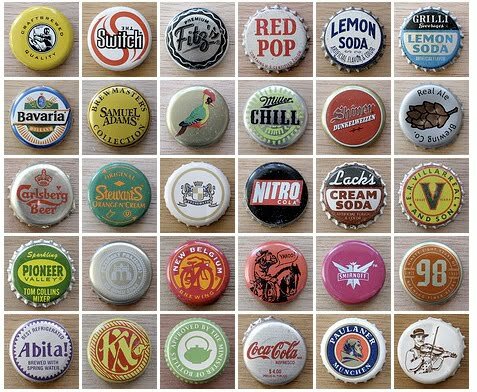 This collection is full of both vintage and modern bottle caps and it's really interesting to see them all. I wish I had a cool collection like this. You can actually get a fair amount of stuff on such a tiny bottle cap. Sweden's first plastic vodka bottle!